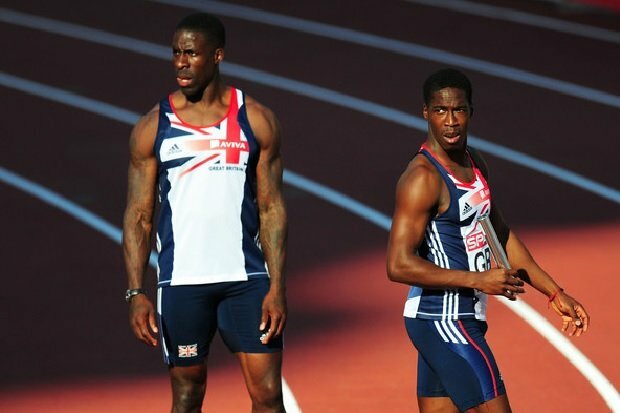 In this part of the A History of British Sprinting series, we will be looking at Dwain Chambers and Christian Malcolm. These two sprinters have been very successful in what has been a period with plenty of good British sprinters but no great British sprinters. Arguably, the most best sprinter in Britain since Linford Christie. Chambers was an immensely successful junior athlete. He won the 100m in the European Junior Championships in 1995, recording a time of 10.41. He also won the 4x100m relay gold medal, which also included a young Marlon Devonish in the quartet. He went on to defend these titles in 1997, he won the European Championship 100m metre in junior world record time of 10.06, beating a young Christian Malcolm along the way. He also successfully defended the 4x100m, which had Christian Malcolm in the team. Chambers transition to senior athlete could not have gone more smoothly, he was an instant success in 1998. Chambers won the silver medal in the European Championships and won a gold in the 4x100m Commonwealth Games. in 1999, he came third in the 1999 World Championships, with a personal best time of 9.97, he also added a silver medal in the same competition in the 4x100m relay. In 2000, Chambers was unlucky enough to finish fourth place in the Sydney Olympics, showing that under pressure Chambers could produce, but may lack the final quality others such as Greene and Boldon had. After a poor showing in the World Championships in Edmonton in 2001, 2002 promised to be a better year, after a dismal Commonwealth Games, Chambers fired back by winning the 100m and 4x100m gold medal at the European Championships in Munich. Despite this, in 2004 Chambers was banned for taking a banned substance, which was part of the BALCO scandal which uncovered the likes of Marion Jones and Tim Montgomery. During his time out of the sport, Chambers tried other sports such as American Football and Rugby league, as well as reality television shows. His ban has always been a part of Chambers legacy and will always remain part of it, much like Christie has a problem shaking of the stigma himself. Chambers came back in 2006 to face a new roster of stars such as Asafa Powell and Kim Collins. Chambers won a gold medal in the 4x100m in 2006, alongside Olympic relay gold medalists, Devonish, Campbell and Lewis Francis. He also won a silver medal in the 2008 World indoor championships in Valencia losing to the Nigerian Fasuba and drawing alongside former world champion Kim Collins. Chambers began hitting some sort of form which he had prior to his drug ban in 2009. He won a gold medal in the European Indoor Championships and finished a respectable 6th place in the world championships in Berlin. In 2010, Chambers became a world beater once again, if only on the indoor circuit. He won the 60m World Championship final to claim gold medal in Doha, beating the likes of American Mike Rodgers along the way, in a time of 6.48. Chambers carries on with his career, battling age among many other new athletes that have come through the ranks. He won the silver medal in 2011 at the European Championships in Paris and won the bronze medal a year later at the World indoor championships. Chambers is still going strong and will be competing at the European championships this year. 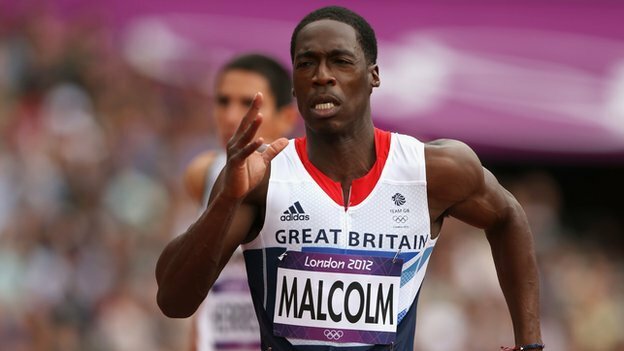 Malcolm was a very talented junior athlete, the man from Wales won titles such as the young athlete of the year in 1998. That same year he also won two gold medals in the World Junior Championships in Annecy, his time in the 100m was 10.12, much faster than second place. In that same year he came second in the 200m at the senior Commonwealth Games in Kuala Lumpur, finishing just behind Julian Golding, with a time of 20.29. In 2001 he took the silver medal in the World indoor championships, he later went on to the outdoor championships which although he got to both finals, he failed to deliver a medal winning performance. Malcolm failed to realise his full potential and his prime years were hindered by both injury and poor performance. He was also not part of the winning relay team in Athens 2004. Despite this, he did have reasonable success nationally. The following years were more successful for Christian Malcolm, however this was mainly due to relay performances, although Malcolm deserves all the credit for this, his medal tally is not one that people would have predicted from the World Junior Athlete of the year in 1998. He won two bronze medals in the world championships of Helsinki and Osaka in the 4x100m. Individually he has managed to collect a couple medals later on in his career. In 2010, he won the bronze medal for Wales in the 200m, he also won the silver medal in Barcelona in the 200m finishing behind the great white hope Christophe Lemaitre.